But does it mean people should be more worried about their oral health? Scientists analysed brain tissue, spinal fluid, and saliva from dead and living patients with diagnosed and suspected Alzheimer’s. Their study, published in the journal Science Advances, found bacteria associated with chronic gum disease, Porphyromonas gingivalis, in the brains of people with Alzheimer’s. Tests on mice confirmed the bacteria could travel from the mouth to the brain and showed the toxic protein they secrete, called gingipain, destroyed brain neurons. The bacteria also increased production of amyloid beta, a component of the amyloid plaques commonly associated with Alzheimer’s. Is flossing really good for you? Following this, scientists tested drugs in mice aimed at blocking the toxic proteins and found they were able to halt degeneration in the brain. The team has now developed a new drug they hope could form the basis of a human treatment and plan to test it in people with mild to moderate Alzheimer’s, in a clinical trial, later this year. What do other scientists say about the study? Scientists not involved in the research said it added to the evidence of the link between gum disease and dementia, the umbrella term for brain conditions that include Alzheimer’s. But they say it is still not clear whether gum disease bacteria is driving the development of Alzheimer’s. People with Alzheimer’s are more susceptible to getting infections in their brains, so it may be that the gum disease bacteria and the toxic proteins they secrete are a by-product of Alzheimer’s rather than a cause. Prof Tara Spires-Jones, from the UK Dementia Research Institute, at the University of Edinburgh, said it was “great news” that the study provided evidence these drugs may affect Alzheimer’s-related proteins. “However, we will have to await the larger clinical trial to see if it will be beneficial to people living with Alzheimer’s disease,” she said. Last year, a Taiwanese study found that people with a 10-year or longer history of chronic periodontitis (CP) were 70% more likely than people without the condition to develop Alzheimer’s. Another study found people with mild to moderate Alzheimer’s who had gum disease experienced a quicker rate of cognitive decline compared with those without. The researchers of this new study say one explanation for the link is that bacteria from gum disease may access the brain by infecting immune system cells or spreading through cranial nerves passing through the head and jaw. But, alternatively, it may be that people with Alzheimer’s have poorer oral hygiene, perhaps because the condition makes them less able to look after their teeth and gums. The charity Alzheimer’s Society, responding to this study, said the research it had been involved in had not found gum disease to be a key risk factor for Alzheimer’s. And Alzheimer’s Research UK said the presence of a single type of bacteria was “extremely unlikely to be the only cause of the condition”. 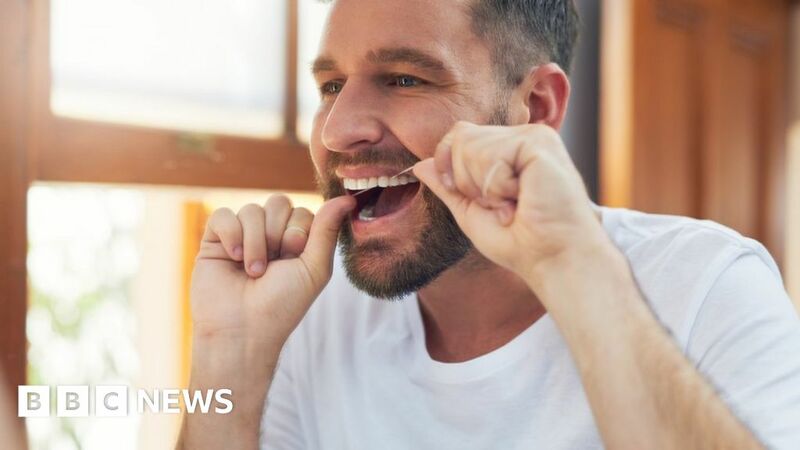 But given that the condition of teeth and gums is important for overall health anyway, Prof Clive Ballard, from the University of Exeter, said the study suggested oral health should be a “much higher public health priority, especially in older people”.